In action around the Atlantic Coast Conference this past weekend, the NC State men upset the defending national champion Texas Longhorns, while almost every team swam in a meet. Read about each of the competitions below. Both the North Carolina men’s and women’s teams have gone winless thus far in the 2016-2017 season, but even though the Tar Heels are still recovering from graduating a massive crop of seniors, the schedule has been the primary culprit. After hosting the mighty Georgia Bulldogs to open the season, UNC traveled to Tennessee and then to Louisville. The Louisville women, on a roll asÂ Mallory Comerford continues to excel, defeated the Cardinals 209-144. Comerford swept the 50 (22.97), 100 (49.24) and 200 frees (1:48.26) and helped Louisville sweep both free relays. TeammateÂ Andrea CottrellÂ once again won the 100 and 200 breast, andÂ Rachael Bradford-Feldman won both IMs. For UNC,Â Hellen Moffitt was her usual stellar performer, as she picked up three wins of her own in the 100 back (53.82), 200 back (1:57.60) and 100 fly (53.36) and also finished second in the 200 IM. Posted on 7th November 2016 by David Rieder. 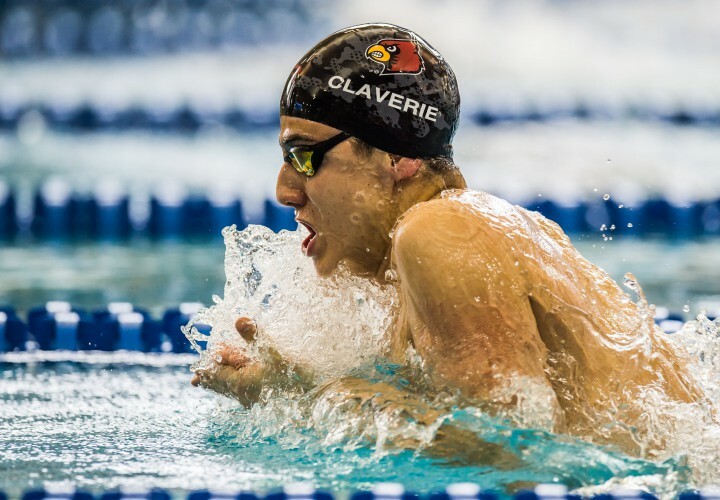 This entry was posted in Swimming and tagged Louisville, Recap, Rolls, Still, Weekly, Winless. Bookmark the permalink.